Rakija is widely considered to be а national drink of Montenegro. Said to instantly destroy bacteria, relieve you of stomach and muscle pain, annihilate viruses and disinfect wounds it has attained mythical status here. Rarely will you be invited into someone’s house or conclude an important agreement without being asked to partake in a glass – regardless of the time of day! Rakija can be made out of almost any fruit and has an alcohol content ranging from 40% to 80% or higher. Most households make their own or have a close family member who makes it. 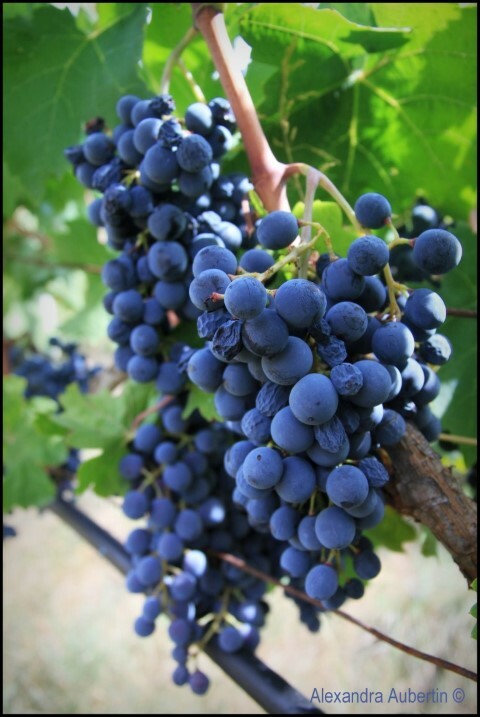 Each region has its specialty with Loza (made from grapes) the most popular here. Having tried most locally produced varieties (loza, sljiva, Kruska, Dunjia) we were interested in finding out how it is produced. Last weekend we had the opportunity to join a local family for the annual grape harvest and to start to process of making Rakija and wine. Harvest time is a very communal season in Montenegro with family and friends coming together to help with gathering the fruit. 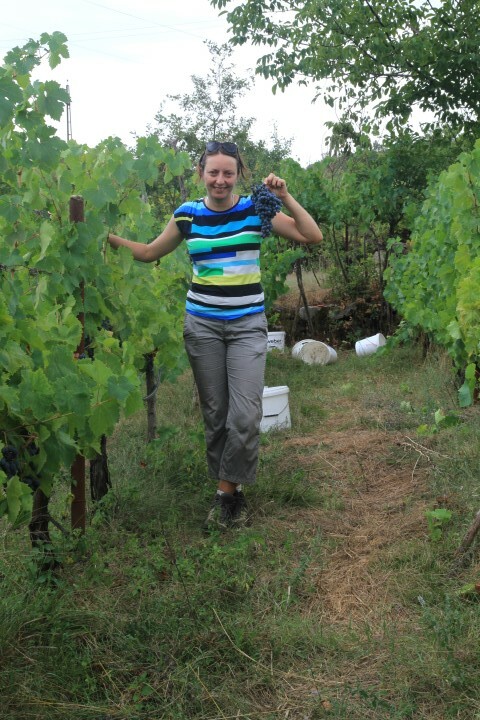 We started early in the morning getting quite a few rows finished before we were called together for a breakfast of local fruit, fresh baked bread, homemade cheese, prosciutto and of course washed down with a healthy shot of Rakija! The grapes are sorted into two batches with the prime ripest fruit being reserved for wine making and the smaller less ripe used for Rakia. The grapes are then put through a press that squashes the fruit and removes most of the stalks (in the case of Rakija making 1/3 of the stalks are re-added to the juice). Fermentation takes between 20 and 40 days depending on the weather, type of fruit etc. The waiting is the hardest, stay tuned for an update when we start distilling in 3 weeks!